Jacques Morel, the French composer and student of Marin Marais, is mainly known for his exquisite chaconne for flute, viol and continuo, which is in the Güntersberg portfolio since many years (G038). 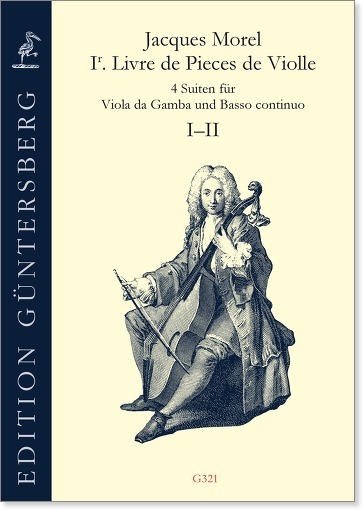 His four splendid suites for viola da gamba however are undeservedly less known, though they number among the pearls of French compositions for this instrument. Morel follows Marais stylistically, but he addresses his music specifically to amateurs, which is why most of his pieces are less demanding. Our new edition follows the original musical texts very precisely and contains all the manifold performance sings of the original print of 1709. The edition also contains single parts and a separate full score with a realization. 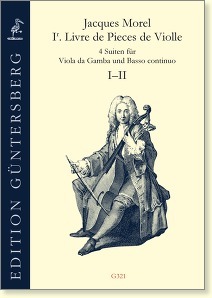 It is rounded off by a detailed introduction by the gambist Sofia Böttger Diniz.